We published a post about lead in fabrics about a year ago, but I thought it was important enough to remind you of the dangers of lead in fabrics, because we’re starting to see claims of “heavy metal free” dyestuffs used in fabrics. What does that mean? Lead is considered one of those “heavy metals’ , along with mercury, cadmium, copper and others – all highly toxic to humans. “Heavy metal” is defined as any metallic element that has a relatively high density and is toxic or poisonous at low concentrations. Heavy metals are natural components of the Earth’s crust. They cannot be degraded or destroyed. Interestingly, small amounts of these elements are common in our environment and diet and are actually necessary for good health. Lead can even be found in natural fibers, such as cotton, flax and hemp, which can absorb it from the environment. It’s when our bodies have to deal with large amounts of these heavy metals that we get into trouble. Heavy metal poisoning could result, for instance, from drinking-water contamination (e.g. lead pipes), high ambient air concentrations near emission sources, intake via the food chain or through skin absorption – and in the case of crawling children, from inhaling carpet particles or other abraded textiles in dust. For some heavy metals, toxic levels can be just above the background concentrations naturally found in nature. Therefore, it is important for us to inform ourselves about the heavy metals and to take protective measures against excessive exposure. Lead accounts for most of the cases of pediatric heavy metal poisoning, according to the Agency for Toxic Substances and Disease Registry (ATSDR). Children with a lead concentration of less than 10 micrograms ( µ) per deciliter (dl = one tenth of a liter) of blood scored an average of 11.1 points lower than the mean on the Stanford-Binet IQ test. (2) Consistent and reproducible behavioral effects have been seen with blood levels as low as 7 µ/dl (micrograms of lead per tenth liter of blood), which is below the Federal standard of 10 µ/dl. 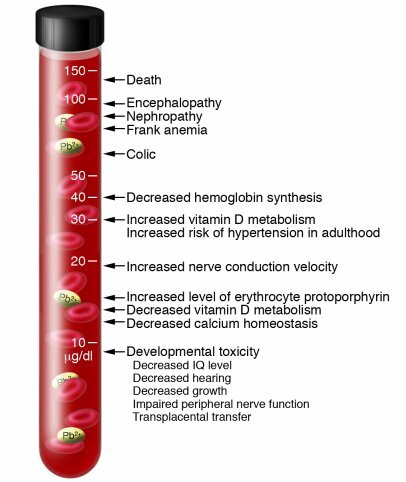 The image depicts what happens to human beings at the various levels of lead in blood. Scientists are generally in agreement that there is no “safe” level of blood lead. Lead is a uniquely cumulative poison: the daily intake of lead is not as important a determinant of ultimate harm as is the duration of exposure and the total lead ingested over time. Lead is widely used in consumer products, from dyestuffs made with lead (leading to lead poisoning in seamstresses at the turn of the century, who were in the habit of biting off their threads) (3), to lead in gasoline, which is widely credited for reduced IQ scores for all children born in industrialized countries between 1960 and 1980 (when lead in gasoline was banned). Read more about this here. Fabrics sold in the United States, which are used to make our clothing, bedding and many other products which come into intimate contact with our bodies, are totally unregulated – except in terms of required labeling of percentage of fiber content and country of manufacture. There are NO laws which pertain to the chemicals used as dyestuffs, in processing, in printing, or as finishes applied to textiles, except those that come under the Toxic Substances Control Act (TSCA) of 1976, which is woefully inadequate in terms of addressing the chemicals used by industry. With regard to lead, products cannot contain more than 100 ppm – despite many studies that show there is no safe level for lead. In fact, the Government Accounting Office (GAO) has announced that the 32 year old TSCA needs a complete overhaul (5), and the Environmental Protection Agency (EPA) was quick to agree! (6). Lisa Jackson, head of the EPA, said on September 29, 2009 that the EPA lacks the tools it needs to protect people and the environment from dangerous chemicals. Fabrics are treated with a wide range of substances that have been proven not to be good for us. That’s why we feel it’s important to buy third party certified FABRICS, not just certified organic fibers (which do nothing to guarantee the dyestuffs or finish chemicals used in the fabric) such as GOTS (Global Organic Textile Standard) or Oeko Tex, both of which prohibit the use of lead in textile processing. The United States has new legislation which lowers the amount of lead allowed in children’s products – and only children’s products. (This ignores the question of how lead in products used by pregnant women may affect their fetus. Research shows that as the brains of fetuses develop, lead exposure from the mother’s blood can result in significant learning disabilities.) The new Consumer Product Safety Improvement Act (CPSIA) had requirements to limit lead content in children’s products (to be phased in over three years) so that by August 14, 2011, lead content must be 100 ppm (parts per million) or less. The Consumer Product Safety Commission voted to exempt textiles from the lead testing and certification requirements of the CPSIA, despite the fact that lead accounts for most of the cases of pediatric heavy metal poisoning, according to the Agency for Toxic Substances and Disease Registry (ATSDR). So let me repeat here: the daily intake of lead is not as important a determinant of ultimate harm as is the duration of exposure and the total lead ingested over time. Children are uniquely susceptible to lead exposure over time, and neural damage occurring during the period from 1 to 3 years of age is not likely to be reversible. It’s also important to be aware that lead available from tested products would not be the only source of exposure in a child’s environment. Although substantial and very successful efforts have been made in the past twenty years to reduce environmental lead, children are still exposed to lead in products other than toys or fabrics. Even though it was eliminated from most gasoline in the United States starting in the 1970s, lead continues to be used in aviation and other specialty fuels. And from all those years of leaded gasoline, the stuff that came out of cars as fuel exhaust still pollutes soil along our roadways, becoming readily airborne and easily inhaled. All lead exposure is cumulative – so it’s important to eliminate any source that’s within our power to do so. I thought we’d take a look at the dyeing process because so many people ask if we use “natural” dyes. The answer is no, we don’t (although we’re not entirely objecting to natural dyes), and I hope the next two blogs will explain our position! Let’s first take a look at what makes the dyes (and how they are applied) an area of concern. Dyeing cloth is one of our oldest industries; people used natural products found around them to change the color of the fibers used to make their cloth – things like leaves, berries, or roots. The first synthetic dye was created in 1856. Today the use of natural dyes on a commercial scale has almost disappeared (except for a resurgence in the craft market) in favor of the newer synthetic dyes. The production of synthetic chemical dyestuffs has become big business, but unfortunately the production and use of these synthetic dyes is one of the world’s most polluting industries. Conventional synthetic dyes present health risks to those working with them and to those who wear them, as well as damaging the environment in a number of ways. Why? Dyes are compounds that can be dissolved in solvents, usually water. The process of dyeing cloth uses a great quantity of water – according to the United States EPA, it takes an average of 5 – 35 gallons of water for every pound of finished fabric. That translates into 125 – 875 gallons of water to dye 25 yards of fabric – enough to cover one sofa! The dyes in solution are absorbed by the fibers. The process of transferring the dye from the water to the fiber is called exhaustion or “fixation rate”, with 100% exhaustion meaning there is no dye left in the dyebath solution. Most conventional dyes have an exhaustion rate of 80%, meaning the dyestuff which is not affixed to the fiber is flushed into our rivers with the spent process water. Each year the global textile industry discharges 40,000 – 50,000 tons of dye into our rivers, and more than 200,000 tons of salt. One of the most pressing issues today is the lack of fresh drinking water, and as one of the most polluting industries, textiles – and especially the dyeing of textiles – is responsible for many instances of pollution making fresh water undrinkable. In the worst cases, communities have to use polluted water to drink, wash clothes, bathe and irrigate crops and the toxins they’re exposed to can have catastrophic effects. Even in those instances where water treatment is in place, toxic sludge is a byproduct of the process. Often sludge is sent to the landfill, but the toxicity of the sludge remains – containing, among others, heavy metals, gypsum, malachite green (identified by the U.S. Food and Drug Administration as a priority chemical for carcinogenicity testing). In addition to the formulation, there are requirements that dyestuffs must meet regarding oral toxicity, aquatic toxicity, biodegradability, eliminability and bi-accumulation in fatty tissues. The GOTS details are on their website: www.global-standard.org. Some dyestuff producers advertise that they have a dye group that meets these standards, such as Huntsman and Clariant. So the formulation of dyes used makes a big difference – look for dyestuffs that have been certified by a third party, such as GOTS. Mercury: Easily absorbed thru the skin or inhalation of dust which contains residues; effects the immune system, alters genetic and enzyme systems, damages the nervous system. Particularly damaging to developing embryos, which are 5 to 10 times more sensitive than adults. Lead: Easily absorbed thru the skin or inhalation of dust which contains residues. Impacts nervous system. 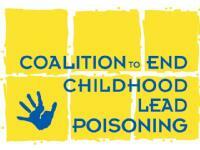 Even low levels of lead can reduce IQ, stunt growth and cause behavior problems. Chromium: Necessary for insulin activity and an essential trace metal; at toxic levels it causes squamous cell carcinoma of the lung. Copper: Fatigue, insomnia, osteoporosis, heart disease, cancer, migraine headaches, seizures. Mental disorders include depression, anxiety, mood swings, phobias, panic attacks and attention deficit disorders. Cadmium: Extremely toxic to humans because of its inhibition of various enzyme systems; primary target organ is the kidney; but also causes lung cancer ; also causes testicular damage and male sterility. Plants readily absorb cadmium from the soil so it easily enters food chain. Chronic exposure is associated with renal disease. Sodium chloride (salt): not toxic in small doses (thankfully for me and my salt addiction), but the industry uses this in such high volumes it becomes an environmental hazard; an organochlorine (the class of organochlorines are very stable (i.e. does not break down into other compounds) and they bioaccumulate; 177 different organochlorines have been found in the average population in Canada and the US. Each person has a unique level at which this build-up becomes critical and triggers a wide range of health problems.) Well known effects of chronic organochlorine contamination include hormonal disruption, infertility and lowered sperm counts, immune system suppression, learning disabilities, behavioral changes, and damage to the skin, liver and kidneys. Newborns, infants, children, childbearing women and the elderly are even more vulnerable to these health impacts. Toluene: affects the central nervous system; symptoms range from slight drowsiness, fatigue and headaches, to irritation of the respiratory tract, mental confusion and incoordination; higher concentrations can result in unconsciousness and death. Prolonged contact can cause dermatitis. Teratogenic, embryotoxic. Direct dyes: given this name because they color the fibers “directly” and eliminates the need for a mordant (the chemical fixing agent lots of dyes need). Azo dyes are a type of direct dye made from a nitrogen compound; azo dyes are known to give off a range of carcinogenic particles and have been banned in many places, including the EU. Effluent contains 5 – 20% of original dyestuff, plus salt and dye fixing agents. Vat dyes: these dyes need a powerful reducing agent, such as alkali, to make them soluble. Expensive and complicated to use, effluent contains 5 – 20% of residual dyestuffs, plus reducing agents, oxidizing agents, detergents and salts. Sulphur dyes: 90% of all sulphur dyes contain sodium sulphide, which endangers life and alters DNA, corrodes sewage systems, damages treatment works and leads to high pH and unpleasant odors. Effluent contains 30 – 40% of the dyestuff plus alkalis and salt. Low-impact reactive dyes are usually defined as “low impact” because of the supposed lower fixation rate – however, these dyes have a fixation rate of at least 70%, which still leaves much room for improvement. What does make them “low impact” and classified by the EU as eco-friendly: they have been formulated to contain no heavy metals or other known toxic substances, and do not need mordants. The high cost of this dye becomes an environmental advantage, as it is cheaper to reclaim dye from the effluent rather than discharge it all and start from scratch. The water can also be recycled. The dye cycle is shorter than it is for other dye processes, meaning less water, salt and chemicals are needed. The entire process normally occurs at a pH of around 7.0, meaning no acids or alkalis need to be added to the water. However, there are still disadvantages: like other environmentally damaging dyes, these dyes are made from synthetic petrochemicals. The process requires very high concentrations of salt (20%-80% of the weight of the goods dyed), alkali and water. Even if the unfixed dye is reclaimed, the effluent from this process can still contain high concentrations of salts, surfactants and defoamers, and is strongly alkaline. 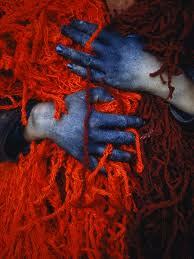 It’s also quite expensive, whereas conventional dye is cheap. This process’ effluent normally contains salt, alkali, detergent and between 20% to 50% of dye used. As reactive dyes currently make up 50% of world dye consumption, more knowledge on how to improve upon this method is needed. Fortunately, research is being undertaken in this area, and a number of companies have produced products that improve on its impacts. It’s been found that, by pre-treating cotton with 120g of phosphate buffer per kg of fabric, no salt or alkali is needed in the dyeing process as the process can occur at a neutral pH. It also means the amount of water required can be halved and the whole dyeing process can be significantly reduced, presenting additional benefits in the form of cost savings. Compared to the other chemicals used to dye fabric the conventional way, this is a relatively low concentration, and its high exhaustion value means the effluent would only contain it in small proportions, making it a greener alternative. And British scientists have developed a way to use algae (called diatoms) to color the fabric – eliminating dyes entirely! So you see why water treatment is critical – even if a dyestuff has a rather benign chemical formulation, the associated salts, defoamers and fixing agents must be dealt with. We chose low impact fiber reactive GOTS approved dyestuffs for our fabrics – and we made sure that all wastewater is treated adequately before release. But that’s not good enough – partly because there is still the question of the sludge created during the process and partly because we need to make sure that ALL process inputs have a benign chemical profile. Tune in next week, when the subject will be “natural” dyes – hopefully the discussion will clear up our thinking on synthetic vs. natural dyes. “Analysis of the Potential Benefits of Recycled Water Use in Dye Houses”, Water 3 Engineering, Inc., April 2005.